Meet Rose. She’s the mischievous spirit of The Cosmopolitan, a 24/7 chatbot and the inside hookup our clientele craves. She knows every secret – the best dishes, off-menu cocktails and even your real name. 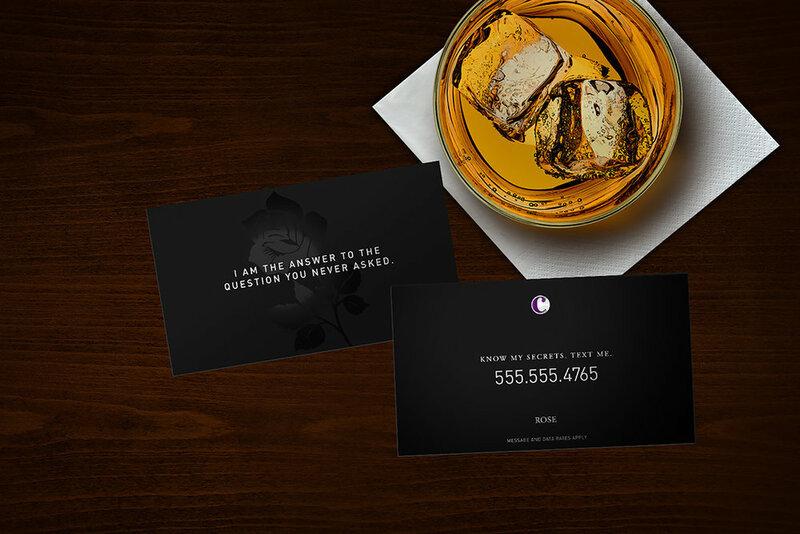 Discover Rose’s calling card at check-in and with a few messages she can restock your towels, give you an art tour and maybe even snag you an exclusive invite to the nightclub. Like the 68% of highly engaged users, you’ll be smitten with her insider knowledge. 9/10 guests that flirt with Rose love their rendezvous, and are more likely to recommend her to other guests. ROSE IS A 24/7 CHATBOT AND THE MISCHIEVOUS SPIRIT OF THE COSMOPOLITAN.